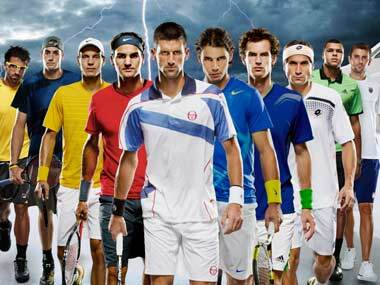 Tennis fans have been treated to an era of incredible competition in the Men’s Singles field. With Roger Federer, Rafael Nadal and Novak Djokovic (and to an extent, Andy Murray) pushing each other harder and harder on the court every week, we have come to expect them to reach the semi-finals of tournaments and finish in the top three in the ATP rankings each year. 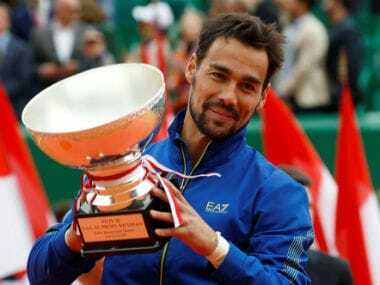 As the 2013 French Open kicks off, an analysis of the ATP rankings (which take into account points from all tournament appearances), shows just how far the top guys have pulled away from their competition. The Herfindahl Index is an economic metric used to measure the degree to which the biggest firms in the market would cause a monopoly if they merged: the higher the index, the higher the degree of dominance by the top firms. For example, in a market of 10 firms where each has 10% market share, the Index would be 0.1 (or 10 x 10%²). If however there were two firms with 60% market share, three firms with 30% and five making up the remaining 10%, the level of potential monopoly increases to 0.212 (or (2 x 0.3²) + (3 x 0.1²) + (5 x 0.02²). We can substitute firms for tennis players and market share for percentage of points between the top 10. There is a definite increase in the ‘market share’ of points held by the top players and subsequently the Herfindahl Index. Let’s go back to 1998 when Roger Federer turned pro. The top three players in the world - Pete Sampras (3915), Marcelo Rios (3670) and Alex Corretja 3398) - amassed 10,983 points between them: equal to the points of the next 3.5 ranks. 1999 saw Agassi destroying the field, collecting over 5,000 points, with 2nd and 3rd place just about managing 3000 – an anomaly as far as years go. In 2000, the top three had as many points as the next five. In 2001, the top three had as many as the next four. Same with 2002 and 2003. The gap between the top players and the rest of the field was very tight. Anyone from the top 10 could have a good year and finish on the podium. The difference between that era and today is marked: the top three are simply a cut above. 2004 came and Roger Federer hit his prime, aged 23, scoring 6335 points: almost as many as 2nd placed Andy Roddick and 3rd placed Lleyton Hewitt combined. Roddick was 22 and Hewitt was 22, both firmly in their prime but Federer was simply on another level and the gap between the best male players of the modern generation and the rest hasn’t been the same since. The following year, Federer and a 19 year old Rafael Nadal had as many points as the next four. The next, they had the same as the next five, though Federer outscored Nadal by almost double in both years. 2007 saw Novak Djokovic complete the triumvirate as a vivacious 19-year old. With 4470 points, the young Serb scored 1,500 points more than fourth placed Nikolay Davydenko; the top three scored as many as the next eight! The same thing happened in 2008 and Rafael Nadal finished the year ranked No 1 after four years of Federer dominance. Though the dominance of the top three players is clear to see, the last few years have seen the top player in the world extended his individual dominance over the rest of the field. Between 1995 and 2004, the No 1 ranked player scored on average 15% of the total share of points between the top 10 players. Since 2004, the share has increased to 22%. It is worth noting that from 1996 until 2003, the second placed player only once had more than 4,000 points at the end of the season. 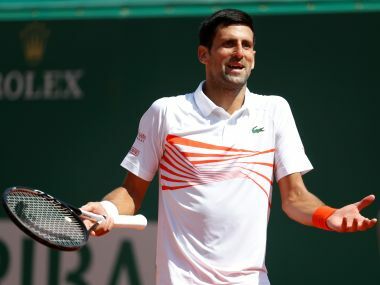 By 2007, Novak Djokovic, who had turned pro just four years earlier, was already crossing this milestone with ease and could only finish third. In fact in 2008, the top three all scored over 5,000 points. This was what Agassi reached in 1999 when he was head (but no longer hair) and shoulders above the rest of world tennis. That is how far the top three had taken the men’s game. Sure, the field had grown but Federer, Djokovic and Nadal all played 19 tournaments – just two more than Agassi did in that golden year. 2009 saw a points system change (basically everyone got more than before) but when one indexes Federer, Djokovic and Nadal’s achievements against their field, the pattern largely remains. It was a more even year, with the top three scoring as many as the next as the next 5.5 ranks. Federer got his No 1 ranking back and strong showings from Andy Murray and Juan-Martin del Potro evened the field. Normally service was resumed in 2010 when the three pull away once more, scoring as many as the next seven. 2011 saw the trio score as many as the next eight. Nadal struggled with injury in 2012 and his spot in the top three was taken by Andy Murray so it’s not the best year to consider them. Nevertheless, for the years when Federer, Djokovic and Nadal were all fit, they claimed 51% market share, compared to the 39% that the top three players in the world used to claim. However, one must consider Murray as a genuine contender to turn the top three into a top four. The Scot has been the closest to breaking the top three’s dominance and if you add him to the equation, the skew gets even bigger. In 2011 the foursome were as good as the next fifteen combined and in 2012, they scored as many as the next 12. If you include Murray and take it to a top four, the Herfindahl Index today is again higher than before. 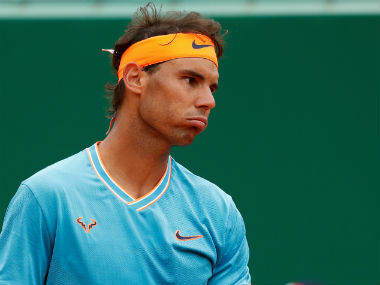 We don’t know how long Federer and Nadal can keep going (one because of age, one because of injury) but there are no signs that players outside the top four will be breaking into the club any time soon. 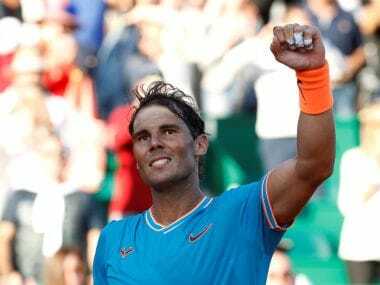 Good players like David Ferrer, Jo-WilfriedTsonga, del Porto and Tomas Berdych may reach a semi or a final or even win a tournament, but in the long run they don’t stand a chance against the best that men’s tennis has seen in decades.